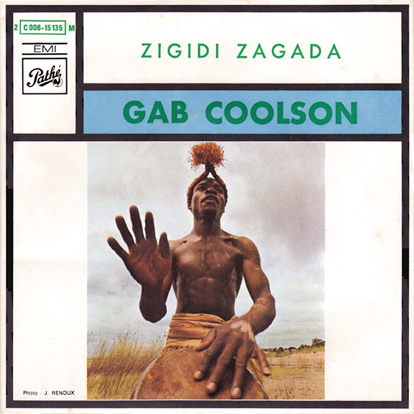 Somewhere, I put in my notes that Gab Coolson was from Zaïre – now know as the Democratic Republic of the Congo. Not sure where I got that tidbit. 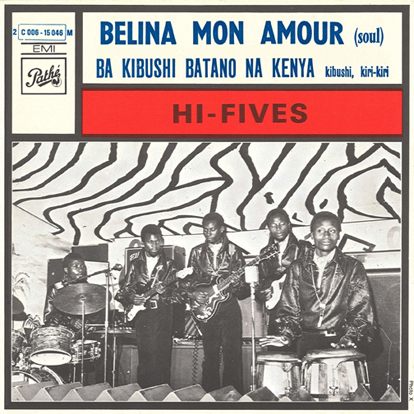 Just about all of Pathé‘s African singles with this type of cover and red label – versus the generic sleeve and blue label singles, like the ones you see from Kenya and Rwanda – were from Zaire. Or at least, that is what I thought. Just after typing those words I received one from Benin and also saw that Fela had a few singles on the label, too. But this record raises more than a few questions. And that’s even before you put the thing on the turntable. It just doesn’t sound like anything I’ve heard from… Well, anywhere. The studio production, the wild fuzz, English vocals… Where did this thing come from? Mars? If you have any information on Gab Coolson (AKA Gabb Coolson), please contact me or leave a comment. Catalog number 2 C 006 15135 on EMI / Pathé, pressed in France. No release date listed. The Belgian Congo achieved independence on June 30, 1960 under the name “Republic of the Congo” (“République du Congo”). Shortly thereafter, the provinces of Katanga and South Kasai engaged in secessionist struggles against the new government. And factions within the recently elected resident Joseph Kasavubu and Prime Minister Patrice Lumumba only made matters worse. Meanwhile, Joseph Mobutu, who was the chief of staff of the Armee Nationale Congolaise, decided to take advantage of the situation. Since Mobutu was receiving financial support from the United States and Belgium, he could pay his soldiers privately. And with this power, he garnered enough support within the army to lead a coup. With the assistance of UN forces, the Katanga secession ended two years later in 1963. The following year, the country changed its name to Democratic Republic of the Congo to distinguish it from the neighboring Republic of the Congo. A quick succession of several short-lived governments eventually led to a stalemate and threatened the country’s stability. In 1965, Mobutu seized power of the presidency (again with United States backing) – who later renamed the country Zaïre in 1971. During those years of unrest, neighboring Tanzania, Uganda and near by Kenya were inundated with Zaïrian refugees. Many of these were musicians who settled in East Africa and tended to dominate urban music scenes. Initially known as Bana Kibushi Batano, the band was formed in Lubumbashi by Vicky Numbi. In 1965, the band moved to Kigoma, Tanzania. It was there that the band received their new name – Hi-Fives – from an American Catholic priest. Two years later, they came Kenya to join fellow Congolese musician Pascal Onema, and Zambians Nashil Pitchen and Peter Tsotsi, who were with the Equator Sounds Band in Nairobi. Orchestre Hi-Fives are credited for creating the Mpete wa Kibushi style which became very popular in Kenya. The band recorded over a dozen singles and at least three albums. After the break up of the band, Vicky Numbi joined Orchestra Super Mazembe, who were active up until the 1990s. In 2004, it was announced that the band was going to be “revived”. Renamed Kibushi Sounds Band, Vicky Numbi was in the process of recruiting new musicians as well as plans to record and tour. Catalog number 2 C 006 15046 on EMI / Pathé, pressed in France. No release date listed. 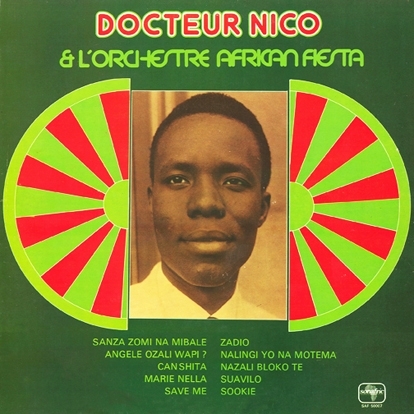 Docteur Nico & L’Orchestre African Fiesta were from Zaïre, which is now known as the Democratic Republic of the Congo. Hailed throughout Africa as “Le Dieu de la Guitar” (“The God of the Guitar”), Nicolas Kasanda wa Mikalay was born on July 7th, 1939 in Mikalayi in the Kasai province of what was then the Belgian Congo. In 1950, at age 11, Nico was introduced to Opika Studios by his cousin Tino Baroza and older brother Mwamba Déchaud who were session musicians there. At 14, he joined Joseph “Grand Kalle” Kabaselle‘s African Jazz. In 1957 he took up electric guitar and can be heard playing electric guitar on ‘Sophie Ya Yotema,’ recorded in 1960. In 1961 he temporarily split with Kabaselle and formed African Jazz Aile Nico before returning to Kabaselle in 1962 and 1963. Young Nico graduated with honours from high school and went on to college, while keeping his night job as Leopoldville‘s hottest young guitarist. He taught auto mechanics at the Christian Brothers school in N’djili district, Kinshasa, which earned him the nickname ‘Docteur’. Nico quit teaching and broke away from African Jazz to form L’Orchestra African Fiesta in 1963 with Tabu Ley Rochereau, brother Déchaud, Kwamy, Mujos, Depuissant on conga and bassist Joseph Mwena. The band was joined by Roger’s brother Faugus Izeidi on third guitar, with both Dominique “Willy” Kuntima and Jeef Mingiedi on trumpet. Rochereau split two years later in 1965 to form African Fiesta National. In 1969, the entire band, except his brother Déchaud, walked out Nico because they felt they weren’t getting their due. The Docteur quickly assembled a new band that included Josky Kiambukuta and Lessa Lassan on vocals. Bopol Mansiamina joined on guitar in 1970 and they kept it together for a few more years. Success eluded Docteur Nico. He withdrew from the music scene in the mid 1970s following the collapse of his Belgian record label, and made a few final recordings in Togo. He drank heavily, leading to his early death in a Belgium hospital on 22 September 1985. The two songs here, are credited to Bovick (a.k.a. Bovick Ye Bondo) who was also known to record with Verckys Kiamuangana Mateta’s Orchestre Vévé. He sang on their version of the Shocking Blue song “Venus“. There is a complete discography for Docteur Nico here. Catalog number SAF 50007, Sonafric records of Paris, France. No release date given. Sebastien Marini was from Zaïre, which is now known as the Democratic Republic of the Congo. The name ‘Zaïre’ came about from the Portuguese mispronunciation of the Kongo word nzere or nzadi, or “the river that swallows all rivers”. And while many people inaccurately refer to the Democratic Republic of the Congo even today, it was only officially called Zaïre from October 27th, 1971 to May 17th, 1997. 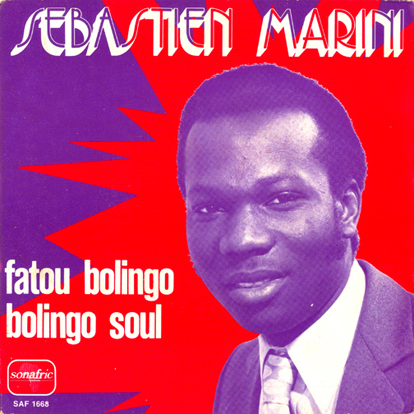 Born on January 20, 1950 with Point-Black (Pontoon on Sea) in Congo-Brazzaville, Sebastien Marini was taken by the hand by Tino Baroza, one year before its tragedy disappearance with Yaounde, and then by Gracia former bass player of Ryco Jazz which ‘initiated it’ with the music. In 1969 it is sound arrival in Paris, after Equatorial Guinea, The Canary Islands and Spain. 1970, it is the departure in Canada and the United States of America. African access, Congolese then it is towards the dear children of Africa which it turns and dedicates its works. Catalog Number SAF 1668, Sonafric records of Paris, France. No release date given. 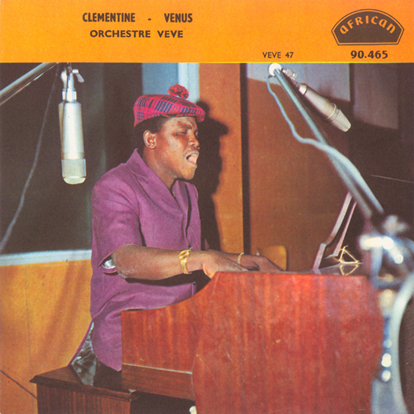 Orchestre Vévé was founded in Léopoldville, Zaïre by Verckys Kiamuangana Mateta after he left Franco & OK Jazz in 1969. Now, Léopoldville is known as Kinshasa and Zaïre is called the Democratic Republic of the Congo. Verckys Kiamuangana Mateta he was mostly known for playing the saxophone, but he also played guitar and organ. He owned a recording studio and established his own production company as well as a record label. I stumbled across an article (which I am unable to find now) that said Orchestre Vévé were going to reunite and record a new album in 2003, but have yet to find any other information to support that story. Catalog number 90.465 on African Records of France, originally issued on Vévé records of Zaïre (catalog number 37) in 1970.